Thank you for signing the Guest Book for Stanley James "Stan" HOLLAND. Please take a moment to sign the Guest Book for Stanley James "Stan" HOLLAND. 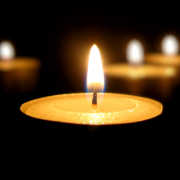 Holland Stanley James (Stan) The funeral of Mr Stanley James (Stan) Holland will leave the Uniting Church Hopetoun on Wednesday March 6, 2019 after a service commencing at 1pm for the Hopetoun Lawn Cemetery. Send me a daily email when updates are made to the obituary or Condolence page for Stanley James "Stan" HOLLAND.